JEFFERSON — Organizers said they believe that the 166th Jefferson County Fair ended on a high note with the heat not impacting attendance in any great way. The fair ended its five-day run on Sunday at Jefferson County Fair Park. “Other than Friday night, we really didn’t have any rain and had clear skies,” Jefferson County Fair Park marketing/administrative assistant Amy said. “It looked like everyone was having fun. 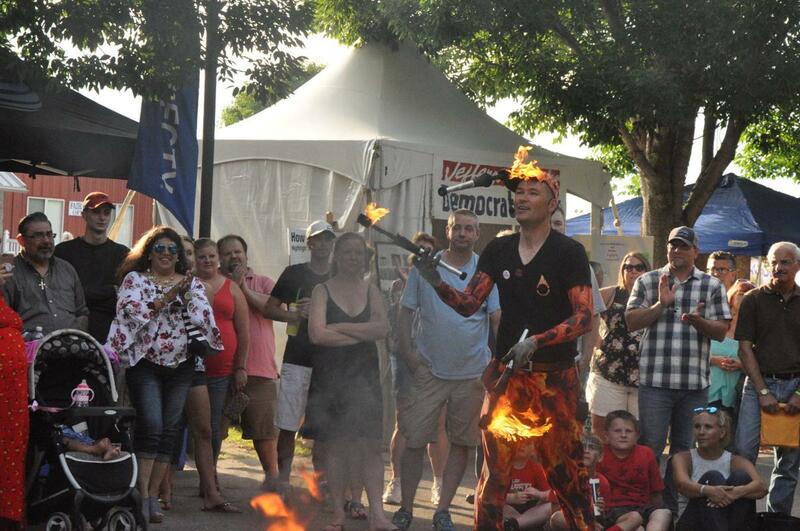 It was a little hot, but everyone came out and enjoyed all of our events that we had. Preliminary attendance numbers were not available by deadline. A staple of the Jefferson County Fair are the Friday and Saturday concerts held at the grandstands. This year, country music singers Travis Tritt and Randy Houser were scheduled for Friday and Saturday, respectively. However, the Tritt concert was canceled due to inclement weather. Listle said it was a decision made in a “combined effort. “We had a team of people that were backstage,” Listle noted. “Between the fair staff and the sheriff’s office and the production crew and Tritt’s management and the National Weather Service, we made a decision that safety was the number-one priority and that, unfortunately, we had to cancel the show. “We do have a no-refund policy, so we did not give any refunds for any of the concert tickets on Friday night,” she continued, adding that reserved seating or party pit tickets were not included in gate admission. Tritt’s opening act, Madison County, was able to complete its set prior to the storm rolling in. Houser’s concert took place as planned Saturday. Listle said that she heard many “great comments” about the family shows, which included the aerial acrobatic High Flying Pages show, Brant the FireGuy and the Sea Lion Splash. Also well received were Mr. Ed’s Magical Midway carnival, the fair food and grandstand entertainment. Along with the new promoter, International Demolition Derby Inc., came a few changes in rules. “Obviously, each county fair is different,” Dennis Nelson, co-owner of the company, said. “There’s different guys and girls and what they want to build in cars, so you have to accommodate rules based on what the local people want, because local people and drivers are what make the event what it is. This year, there were some new classes of cars and larger trucks than in previous years. Overall, she said, the fair was a success.